This 2432 sq ft home has so much charm...and a 1 YR HOME WARRANTY! HUGE BACKYARD..NO BACK NEIGHBORS..THE RING SECURITY CAMERA..UPGRADED KITCHEN..& CORETEC LUXURY VINYL throughout the FIRST FLOOR, youll love this MOVE-IN READY HOME! As you enter, you're welcomed with a living room/dining combo, perfect for entertaining guests. 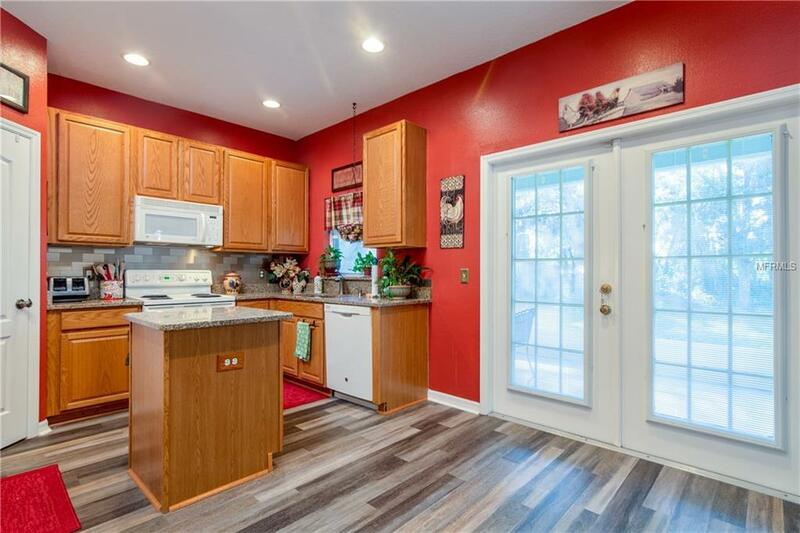 The kitchen greets you next and has FRENCH DOORS (with internal mini blinds) that lead to the screened-in back porch. 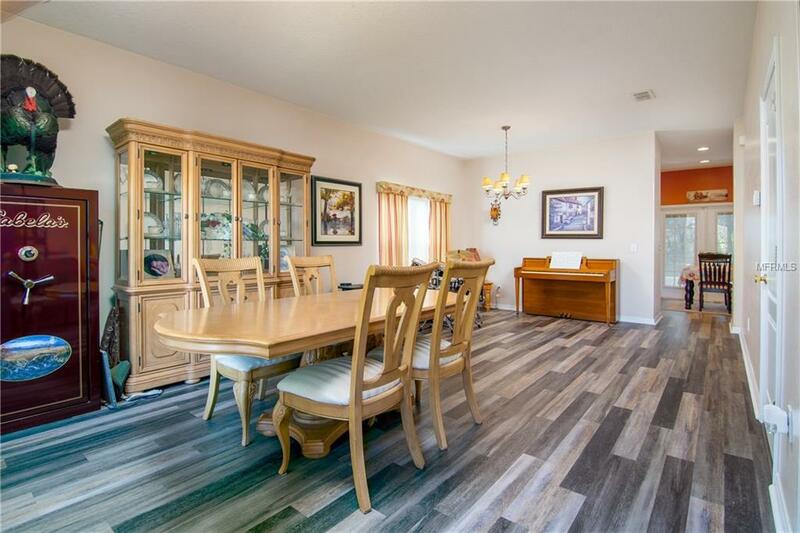 The kitchen is furnished with SOLID OAK CABINETS, BEAUTIFUL GRANITE COUNTERTOPS, a CENTER ISLAND, a LARGE WALK-IN PANTRY, and overlooks the LARGE FAMILY ROOM. The staircase is gracefully decked out with LUXURY VINYL as well. At the top of the stairs, a SMALL LOFT is perfect for a STUDY AREA or SMALL OFFICE. 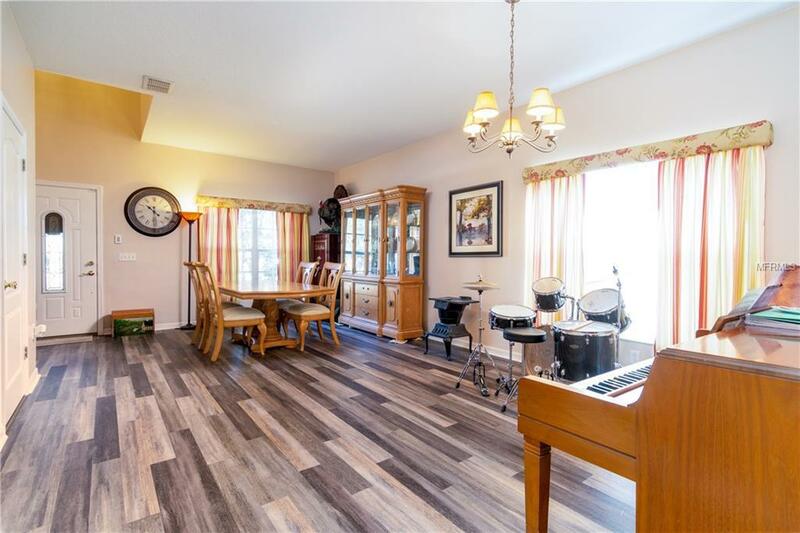 Enter through the DOUBLE DOORS to the master bedroom, which has a HUMONGOUS WALK-IN CLOSET.& TWO MORE SMALLER WALK-IN CLOSETS IN THE MASTER BATHROOM, along with a LARGE WALK-IN SHOWER & private room for the toilet. The 3 secondary bedrooms share a full bathroom in the hall, and the laundry room is upstairs too for convenience. There are two A/C units one was replaced in 2012 and the other in 2017. The backyard has a shed & is big enough for TWO SCREENED-IN POOLS....A BOAT....OR OTHERS TOYS. Theres a carport to the side that will provide shade for your BIG TOYS. The ATTIC HAS PLYWOOD down for storage. NO CDD and LOW HOA makes this home attractive and affordable. 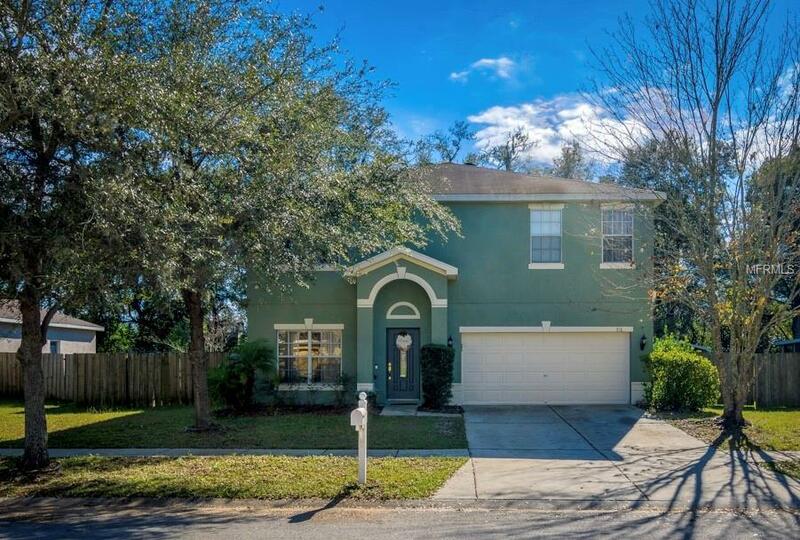 Just minutes from I-4.and very convenient to TAMPA, I-75 and shopping. Additional Lease Restrictions Contact Hoa For Details On The Leasing Restrictions. Amenities Additional Fees Buyer Should Contact Hoa To Confirm Deed Restrictions. Pet Restrictions Buyer Should Contact Hoa To Inquire About Pet Restrictions.